We usually reserve buying those big bunches of flowers for Mother’s Day and birthdays but why wait for a special occasion? Celebrating Easter also means celebrating spring, so what better time of year is there to decorate your house with some fresh bouquets? Another incentive might be our Bunches voucher codes that are currently waiting to save you 10% on your floral order. So if you’ve got family staying over, are planning a big Easter lunch, or just want to breath a bit of fresh air into your surroundings, then use our Bunches promo codes to spruce up your abode. Plus you could also bring a lovely Bunches bunch to your host’s house if you plan on being the perfect Easter guest. Talking of big family get-togethers, they are also a sign that your grocery bill could increase over the next couple of weeks. Not too worry though, we’ve got plenty of supermarket savings that can help ensure you don’t go completely over budget. 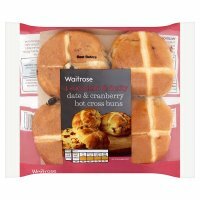 One such online discount is this pick of our Waitrose discount vouchers that brings together all their best Easter savings in one handy spot – using Waitrose voucher codes you can get 25% off selected Easter wines, 2 for £2.50 on packs of Hot Cross buns and 3 for the price of 2 on selected Easter baking items. That’s pretty much all you’ll need for a successful family Easter then! Apart from the Easter eggs. Never forget the Easter eggs. But there’s nothing wrong with planning a family getaway over the Easter holidays either. So forget lounging at home and take a peek at our Whipsnade Zoo voucher codes. If you want to make a weekend of it, our current Whipsnade Zoo voucher codes are offering up to 20% off selected tickets – just click on the link to select the date you want to visit and the hotel you want to stay at. Plus there’s the added advantage that using Whipsnade Zoo promotional codes means you automatically get fast track entry! We think you’ll agree the chance to avoid the queues might be too tempting to pass up. So by all means get those Easter eggs purchased, but don’t forget there are other things you can save on these holidays. Our Waitrose, Whipsnade Zoo and Bunches voucher codes are just the beginning of the Easter savings eggstravaganza. You can check out all our great Easter deals right here.